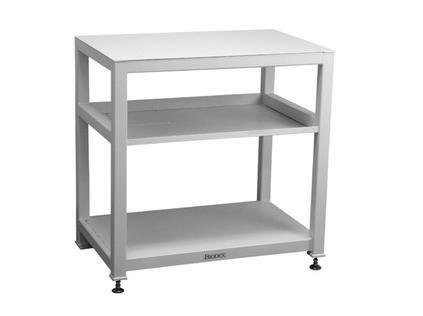 Sturdy as they come, this steel table can be used for just about any application requiring a strong, level platform. Ideal for holding heavy L-Block shields and caves, the surface is powder coated and the front legs feature adjustable levelers. Use the middle shelf to hold small items and the bottom shelf to support shipping containers or other large objects.